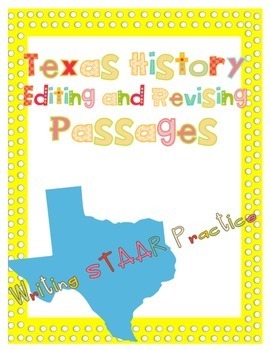 This editing and revising passage doubles for STAAR writing practice and creating prior knowledge for Texas history. 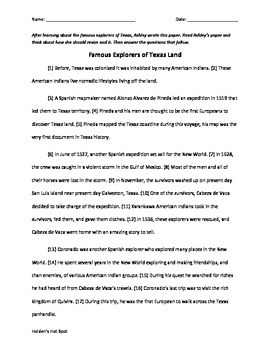 This passage about the Texas explorers have 12 questions that were created with question stems from STAAR tests. 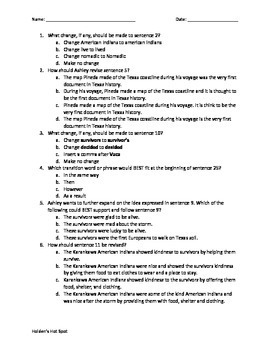 It also includes an answer key for easy grading.